Foreshadowing an impending war of independence with England, two young men from either ends of the political and financial spectrum are abducted by a pressgang and forced into service of King George's Royal Navy. 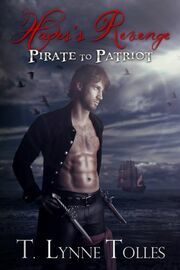 Fate deals them another blow when a pirate ship captures and destroys the British vessel killing everyone aboard, but our two heroes. William and Jessop are offered a choice - serve as pirates or die. Not willing to perish they pursue life as pirates, proving their worth and serving the colonial patriots by battling the British, Hessians, and any other foes who cross their paths.